Tis the season for holiday. How many are reading this on or after a road trip? Did you take your fur baby? If so, let me help you make holiday travel with pets cleaner and easier! Enjoy the trip without the mess! For many of us, the holiday season brings cold and wet weather. So taking our dogs anywhere is sure to mess up our car. The rugs, seats, and backs of front seats often get wet, muddy and then the dog hair really sticks to them. Don’t let these messes discourage you from taking your furry best friend! Get a Wag Mat. 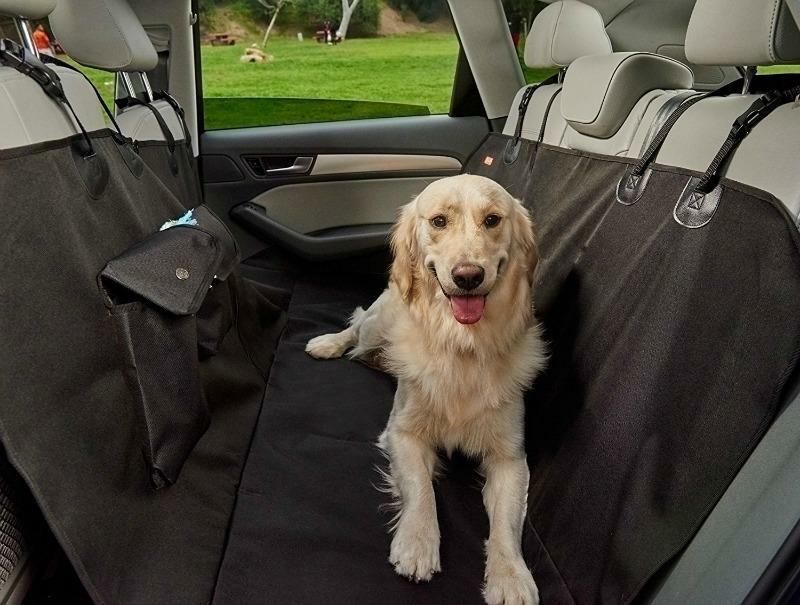 A Wag Mat is designed to keep your car clean, and your pooch happy! First of all, it’s made of waterproof and durable nylon. This keeps the water, snow, mud, and dog hair off the interior of your car. It also keeps your pets from slobbering all over. Should they get car sick, it won’t be all over you seats either! Oh, and it keeps their nails from scratching up the inside of you car as well. Secondly, it keeps your pet more comfy. Thing of it like a giant hammock for your furry friend. When you apply your brakes, your dog won’t slide off the seat onto the floor of your car. They can lay back and relax, while you can concentrate on driving. 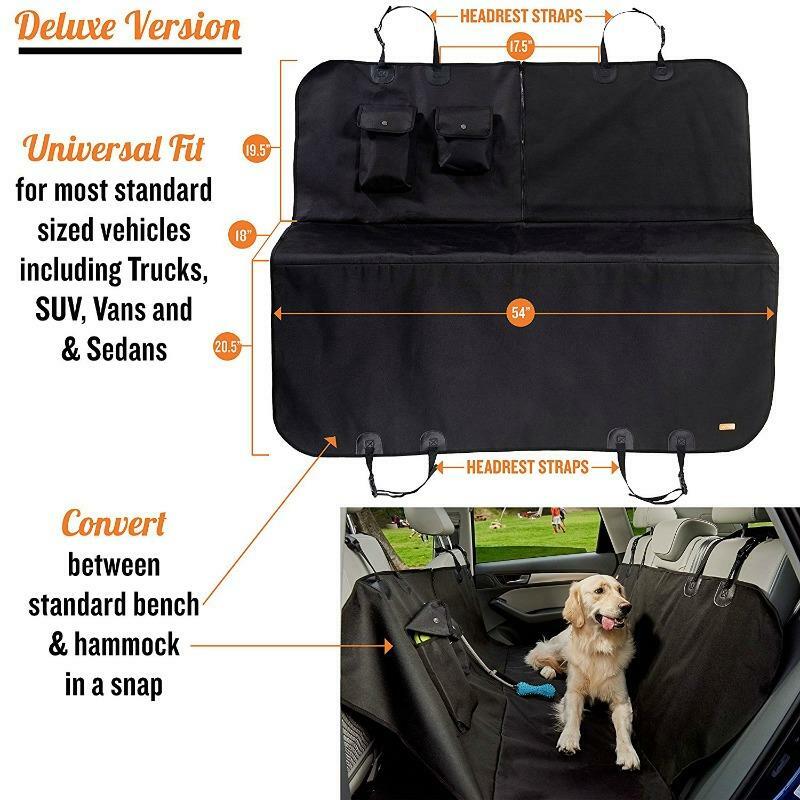 Wag Mat is a universal fit so it will fit into most cars. It’s nice and large and covers the back seats, the backs of the front seats, the console and the floor. I wasn’t kidding when I said it would keep your whole car cleaner! It’s easy to install and just as easy to take out. Then you can just wipe it clean for the next trip. This thing is so handy! 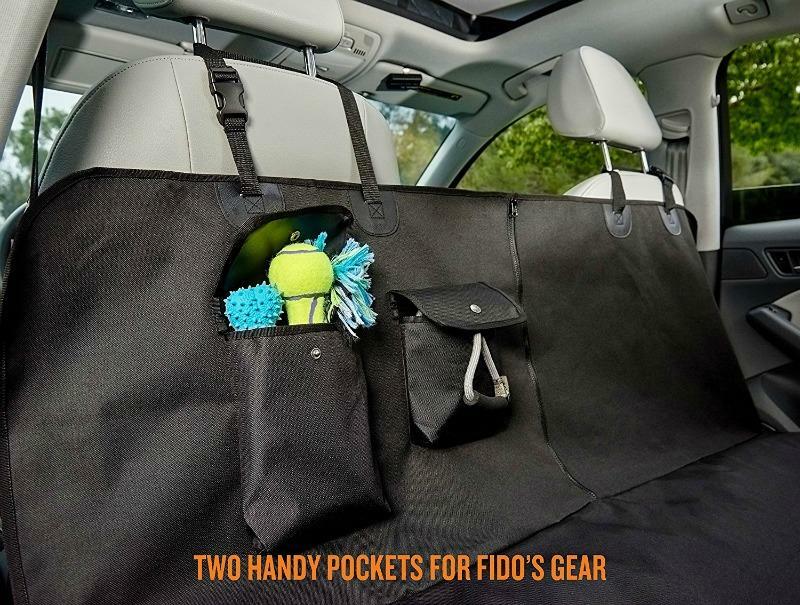 It even has two pockets for storing your fur baby’s things. You can stash their leash and poop bags in one. Then put a bottle of water in the other. I love when items offer more than one purpose! You will love Wag Mat too! But don’t just take our word for it. Grab yours here.